This exclusive complex provides a private and relaxed atmosphere with the majestic Indian Ocean right at your back door. 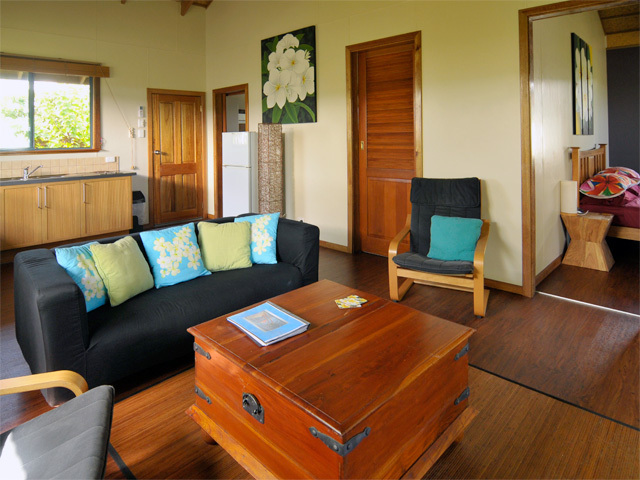 Cocos Castaway has up-to-date facilities so you can live in comfort at yesterday's pace. Just imagine sitting on your verandah taking in the breathtakingly beautiful sunsets whilst enjoying the balmy tropical Cocos evenings. 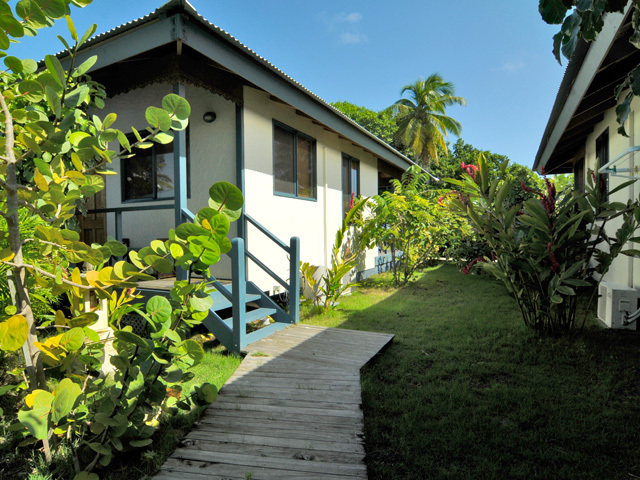 Cocos Castaway, stylish, ocean side, self-contained accommodation located on West Island on the beautiful and remote Cocos (Keeling) Islands, the "jewel of the Indian Ocean". 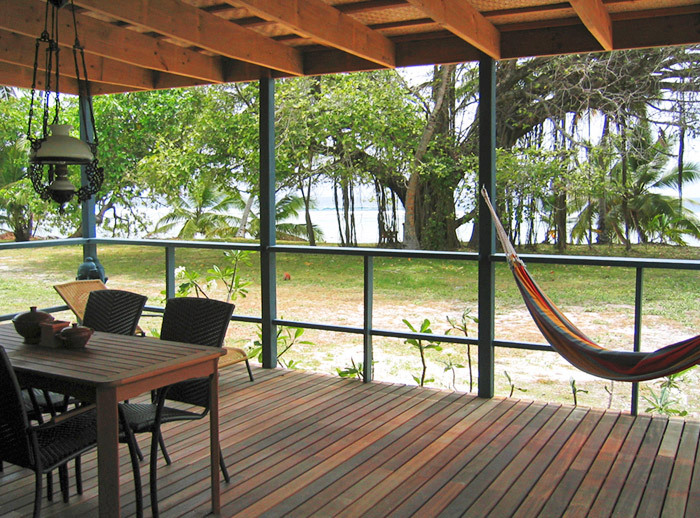 Cocos Castaway is a smoke free property. The "jewel of the Indian Ocean", rising a mere 3 metres above sea level offers visitors a relaxed safe island lifestyle where you can do as much or as little as you desire. The Cocos (Keeling) Islands is an external territory of Australia located approximately 2750km northwest from Perth, Western Australia. Its closest neighbour is another external territory, Christmas Island, which lies approximately 900km east northeast from Cocos. 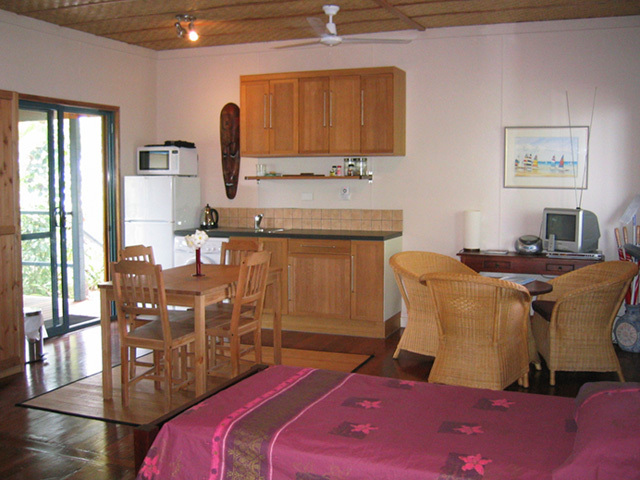 Cocos is famous for its lay-back style of living and relaxed atmosphere. 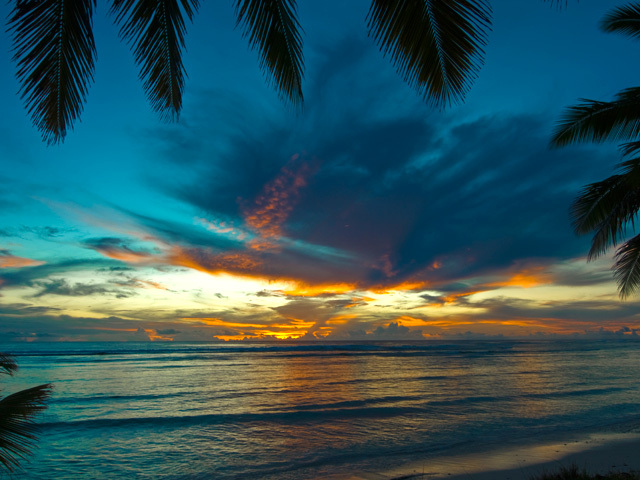 The Islands year round balmy tropical climate entices anyone who is seeking a warm getaway from the winter chills. With Cocos' pristine beaches, warm clear waters of the Indian Ocean and spectacular marine life, your holiday starts the moment you step off the plane. 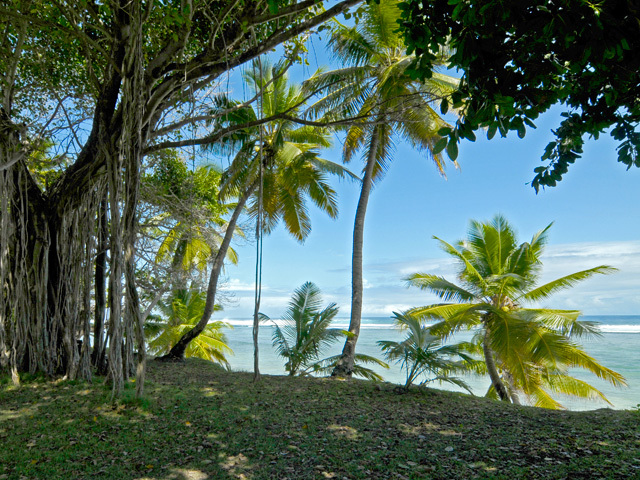 Virgin Australia now flies to the Cocos (Keeling) Islands twice per week, departing from Terminal 1 Perth International airport on Tuesday, and Saturday. The booked accommodation is for the express use of checked in guests only and is not to be used for parties receptions or any other group function. A maximum of two additional persons may visit the room however they must vacate the property by 10pm or as directed if disturbing other guests. 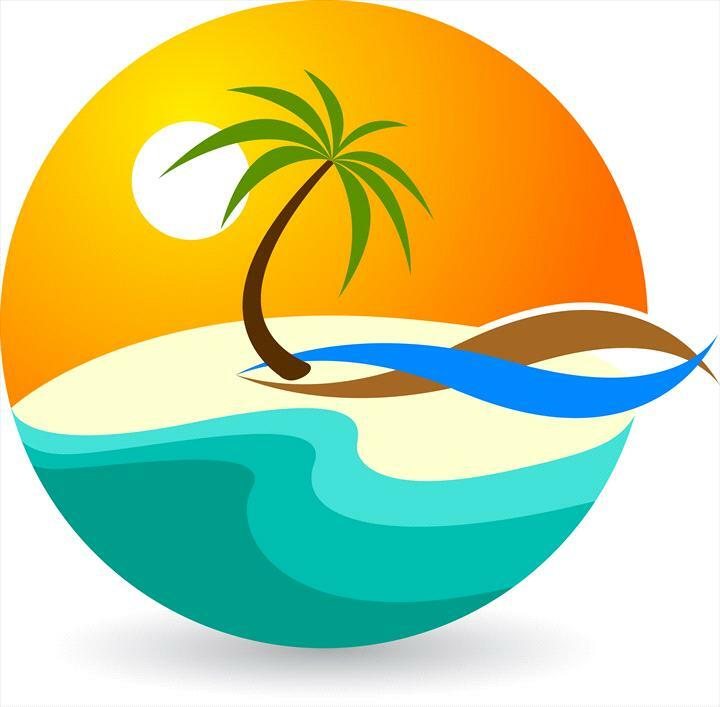 Cocos Castaway – Smoking and Fire Prevention Policy. Effective 01 April 2017 Cocos Castaway will become a smoke & cigarette free property. This extends to all of the facility including rooms verandah and garden areas. 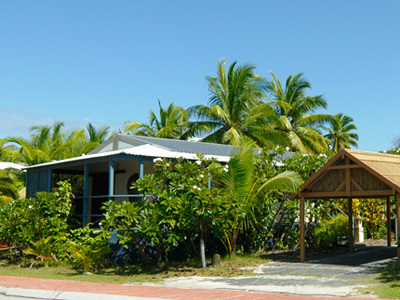 For guests who still smoke a suitable location is provided near the sea wall down wind of other Cocos Castaway guests and staff. In the interests of fire safety the use of candles and mosquito coils is not permitted. 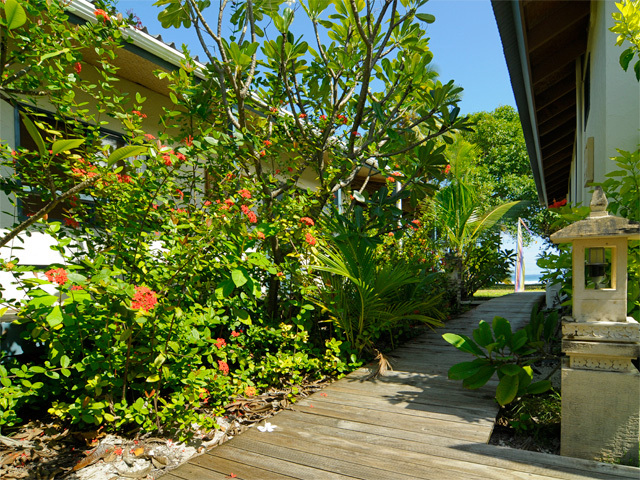 Alternative insect bite prevention methods are available at Cocos Castaway. Cocos Castaway Superior units are ideally suited to singles, twin, couples or couples with a young child who want self-contained elegance. 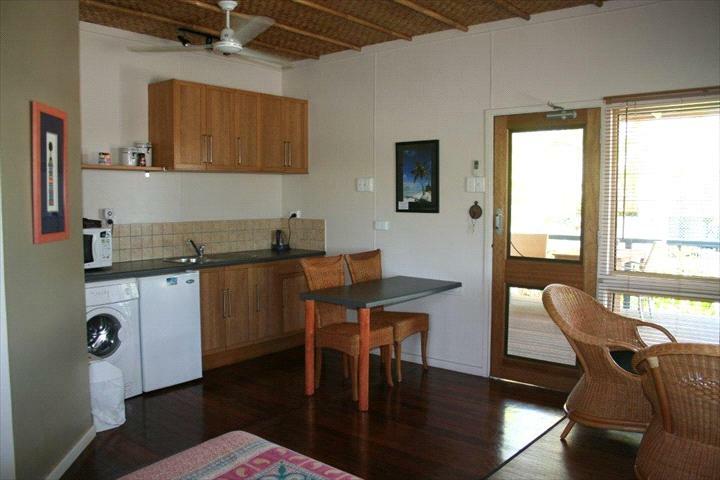 These studio style units are adjoining, each having its own private verandah. Not suitable for 3 adults. Maximum of one young child (under 12yo) or infant can be accommodated on request at no additional cost. 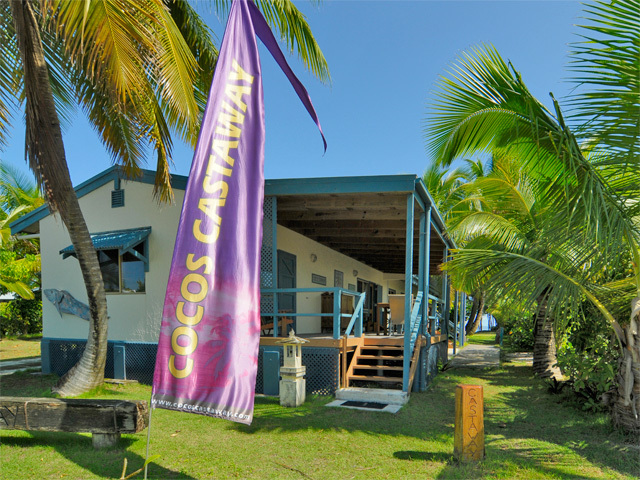 Cocos Castaway Superior Units are ideally suited to couples, twin share or couple with one child. Each room has a fully equipped kitchenette, safe, private bathroom, queen size and single bed and is beautifully appointed with air conditioning and/or ceiling fans and fully screened for your comfort. 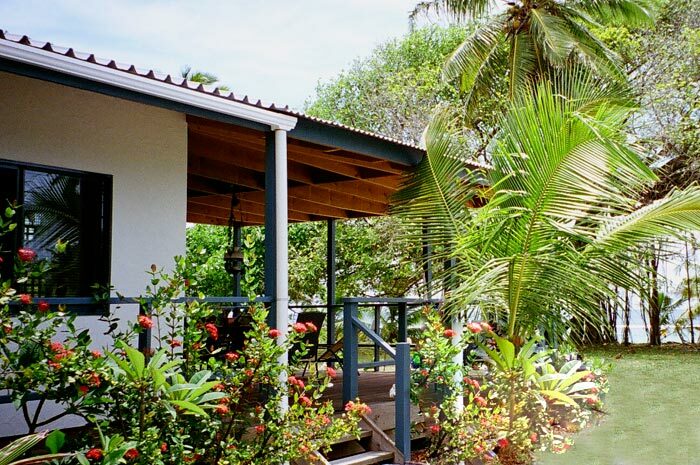 The Superior rooms have their own private verandah.